A fascinating base for a Classics trip, this region is rich in Roman history. 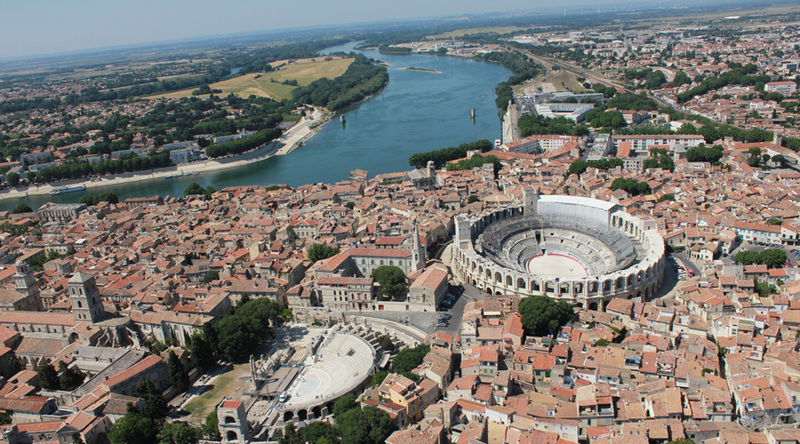 Visit the famous Roman amphitheatre in Arles. Walk round the Roman village in Vaison-La-Romaine and see the ancient Roman theatre in Orange. You can see the highest of all elevated Roman aqueducts in Pont du Gard and even walk along the Via Domitia that linked the Alps with the Pyrenees, and is the oldest Roman Road in Gaul. 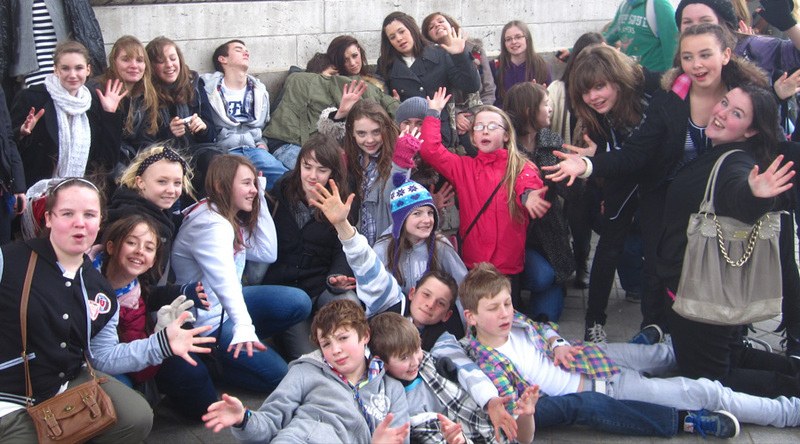 Our groups can either travel by coach or fly to Marseilles, Nimes or Montpellier. Arles: The city has a long history, and was of considerable importance in the Roman province of Gallia Narbonensis. The Roman and Romanesque Monuments of Arles were listed as UNESCO World Heritage Sites in 1981. See the city’s famous Roman amphitheatre and visit the Archaeological Museum, which houses a Roman boat discovered in the Rhone River. Vaison-La-Romaine: A town well-known for its history and sites, which include the Gallo-Roman town, the cathedral of Our Lady of Nazareth, St Quenin’s chapel, the archaeological museum and the upper town. Orange: The “Théâtre antique d'Orange” is an ancient Roman theatre built in the early 1st century AD. It is owned by the municipality of Orange and is the home of the summer opera festival, the “Chorégies d'Orange”. Pont du Gard: An ancient Roman aqueduct that crosses the River Gardon, the Pont du Gard is the highest of all elevated Roman aqueducts, and, along with the Aqueduct of Segovia, one of the best preserved. The bridge is part of the Nîmes aqueduct, a 50-kilometer system built in the first century AD to carry water from a spring at Uzès to the Roman colony of Nemausus (Nîmes). Avignon: Visit the Archeological site of Glanum at the foot of the Alpilles. The site contains important religious and civic monuments and presents a fine example of urban development. A Gaulish oppidum built around a sacred spring stretches out before your eyes, revealing Greek and subsequent Roman influences. Ambrusum and Via Domitia: A Roman archaeological site in Villetelle, close to Lunel, between Nîmes and Montpellier. Notable for its museum, its staging post on the Via Domitia, its bridge Pont Ambroix over the Vidourle (river) and for its oppidum (iron ages fortified settlement). The Via Domitia linked the Alps with the Pyrenees, and is the oldest Roman Road in Gaul (France). Its history of settlement was laid out around 120 BC, it was to become part of the roads that linked Italy with Cadiz in Spain. Its history of settlement spanned 400 years. Nimes: The city has a rich history, dating back to the Roman Empire when it was home to 50,000 – 60,000 people. It is well known for its several famous monuments such as the Nîmes Arena and the Maison Carrée. Because of this, it is often referred to as the French Rome. A lovely accommodation centre in the pretty historic town of Sommières, which offers both the Cévennes hills and the beaches of Petite Camargue (just half an hour away), as well as easy access into the region of Provence. Arrive at your hotel, where you will meet your local tour manager. Time to enjoy the accommodation’s pool. Evening meal at your accommodation. Time to relax or have a walk into the town centre. Morning visit to the Ambrusum and Via Domitia, which linked the Alps with the Pyrenees, and is the oldest Roman Road in Gaul (France). 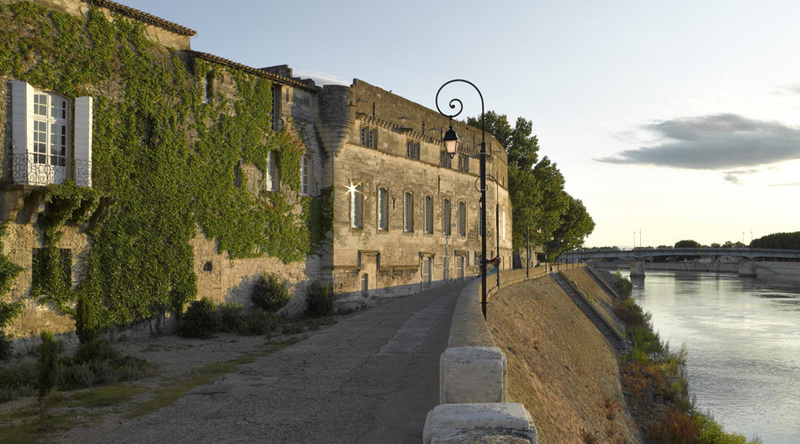 Afternoon visit to Arles, enjoy a guided visit to the famous Amphitheatre Arles and visit the city’s Archaeological Museum. Depart for Vaison-la-Romaine. Enjoy a guided visit to the Gallo-Roman village. Time to explore the centre of Vaison-la-Romaine. In the afternoon visit Orange and enjoy a guided tour of the ancient Roman theatre there. Evening meal at your accommodation. Depart for Pont du Gard, where you’ll enjoy a guided tour of this highest of all elevated Roman aqueducts. Depart for Avignon to arrive in time for lunch. See the Archeological site of Glanum with time to walk around the old town and enjoy some souvenir shopping. Evening meal at your accommodation. Check out of your accommodation. Time to walk around the old town of Sommières before beginning your journey back to school.